Color: * 29"x2.0 26"x1.5 26"x2.0"
One of Serfas's most popular tires! 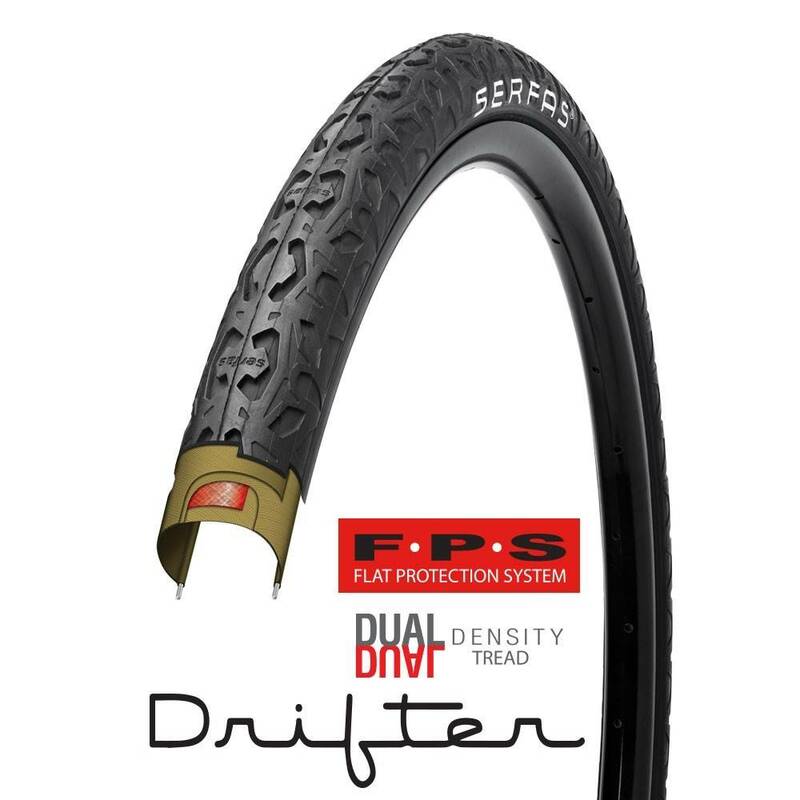 Utilizing a smart inverted tread pattern, the Serfas Drifter is designed to be an ace on pavement & light duty trails. The Drifter gives you the best of both worlds; keep them on the road or take them down your favorite dirt road.